Friday’s decision by UNESCO to classify the Tomb of the Patriarchs as an “endangered Palestinian World Heritage site,” is simply obscene. 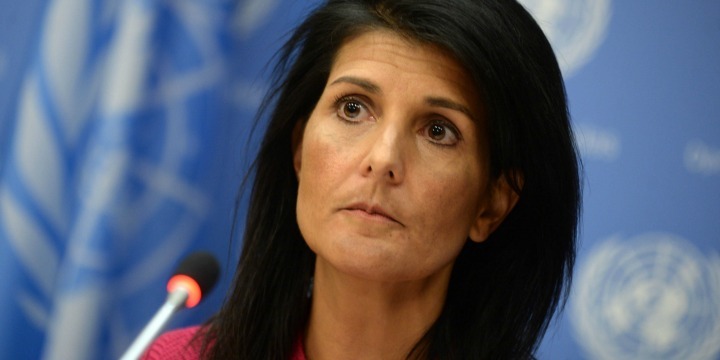 It is a slap in the face to Israel and Nikki Haley is right… it’s an affront to history. Allen West is right as well… this isn’t just revisionist history, it is the elimination of history. This ruling proves that UNESCO is a joke and it also means that any minuscule chance of discussing peace between Israel and the Palestinians is now gone. That is an ancient Jewish holy site in Hebron and to say it belongs to the Palestinians is an outright lie. It’s an abomination. “Today’s vote does no one any good and causes much harm,” Haley declared. In 2011, in compliance with statutory funding restrictions, the US stopped funding UNESCO after it admitted the “State of Palestine” as a member state. While America is still on the 58-member UNESCO Executive Board, it no longer has voting rights in the UNESCO General Conference. This is a blatant attempt to erase Jewish history. The ramifications of this decision by UNESCO entails an effort to delegitimize any historical existence of a Jewish state, or nation prior to the 1948 declaration. They are also pushing the falsehood of the existence of a “Palestinian” people. This historical revisionism by UNESCO is an egregious insult to the Jewish people and to Israel. They are saying that the resting place of Abraham, Jacob (Israel), Isaac, Sarah, Rebecca, Eve and Leah has something to do with Arabs calling themselves “Palestinians” and it is absurd in the extreme. Jonathan Greenblatt, CEO of the Anti-Defamation League (ADL), expressed regret that the UNESCO decision “not only undermines efforts to build Israeli-Palestinian trust,” but also “reinforces the perception among Israelis and Jews around the world that the Palestinians do not recognize the Jewish connection to Israel and are not serious partners to peace.” And that is exactly what Nikki Haley vociferously pointed out at the UN. She was ticked.